A mosaic pattern of attenuation with patchy areas of increased and decreased attenuation is nonspecific and may be seen on HRCT when various infiltrative lung, airway, or vascular diseases are present. 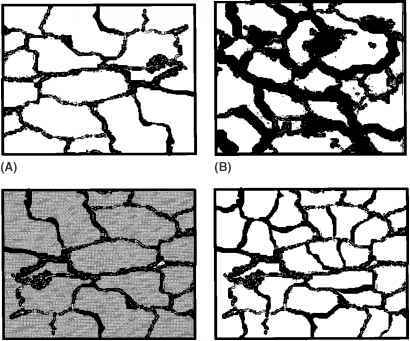 When this pattern is caused by regional differences in perfusion due to vascular diseases, it is also known as mosaic perfusion  or mosaic oligemia . In cases of infiltrative lung disease, mosaic attenuation results from patchy areas of ground-glass attenuation and interposed normal lung parenchyma. In cases of airway disease, the mosaic pattern results from reflex vasoconstriction secondary to hypoventilation of alveoli distal to airway obstruction and blood flow redistribution to adjacent normal areas of lung. Air trapping in the abnormal lung may also contribute to the reduced attenuation. Infiltrative lung disease and airway disease may be differentiated reliably as the cause of mosaic attenuation on HRCT, whereas vascular disease is often misinterpreted as infiltrative lung disease or airway disease . In infiltrative lung disease, the size of vessels within the areas of ground-glass attenuation is usually similar to that of uninvolved lung, allowing distinction from airway and vascular disease in the majority of cases. In cases of airway and vascular diseases, areas of increased attenuation have relatively large vessels, while areas of decreased attenuation have small vessels [40,41]. Airway diseases that can cause mosaic attenuation can often be recognized by the presence of bronchial dilatation, seen in more than 70% of patients with airway abnormalities . Although air trapping allows early recognition of airway abnormalities, it is not helpful as an isolated finding in the distinction of airway disease from other causes of mosaic attenuation because it can also be seen in patients with infiltrative lung disease and vascular disease . However, when patients are suspected to have small airway disease, isolated air trapping on expiratory HRCT (often with normal inspiratory HRCT) is highly suggestive of asthma or obliterative bronchiolitis (Fig. 11). Figure 11 Obliterative bronchiolitis. (A) Inspiratory HRCT of a 40-year-old woman with a heart transplant and decreasing pulmonary function shows no evidence of bron-chiolitis. 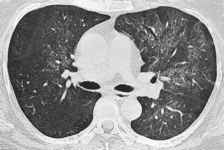 (B) Expiratory HRCT of the same patient in A shows a mosaic pattern of lung attenuation. The lucent areas of lung represent air trapping. Note anterior bowing of posterior membranous trachea on expiration, a normal finding. Figure 12 Chronic thromboembolic disease. (A) Helical CT with intravenous contrast material of a 27-year-old man with a history of deep venous thrombosis, shortness of breath, and elevated pulmonary artery pressures shows eccentric clot along the posterior wall of the right pulmonary artery (arrowheads) and clot in the lower lobe branches bilaterally (arrows). (B) HRCT with lung windowing of the same patient in A shows mosaic perfusion. 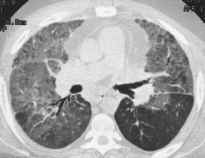 Acute rejection of lung transplantation Adult respiratory distress syndrome Pulmonary edema Extrinsic allergic alveolitis Pulmonary hemorrhage Infectious pneumonia ease, mosaic attenuation is caused by chronic pulmonary thromboembolism (Fig. 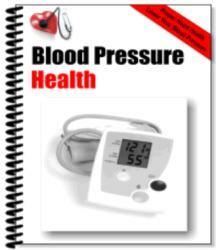 12), and less commonly by primary pulmonary hypertension or pulmonary capillary hemangiomatosis . Figure 14 Acute rejection. HRCT of a 38-year-old man after bilateral lung transplantation shows diffuse bilateral ground-glass opacification, correlating histologically with severe acute rejection. Figure 15 Pneumocystis carinii pneumonia. HRCT of a 56-year-old woman on steroid therapy for autoimmune hepatitis shows characteristic patchy areas of ground-glass opacification. 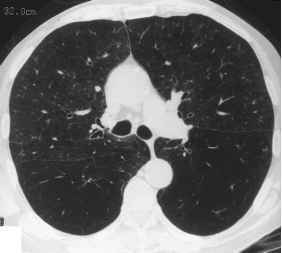 Figure 16 Invasive pulmonary aspergillosis. HRCT of a 50-year-old woman with acute myelogenous leukemia and fever shows focal consolidation in the right upper lobe with surrounding ground-glass opacification ("halo" sign). In this patient population the halo sign is fairly specific for invasive pulmonary aspergillosis. Extrinsic allergic alveolitis Respiratory bronchiolitis rounded by a zone of ground-glass opacification, with this zone often representing hemorrhage.